Tri Pysgodyn (Three Fishes) is originally a fishermans cottage, facing south in a sheltered quiet position just 300 yards from the beach - local fishermen still moor their boats here. Ideally placed for the Pembrokeshire Coastal Path and some of the best scenery and wildlife the area has to offer - spot the seals and their pups. 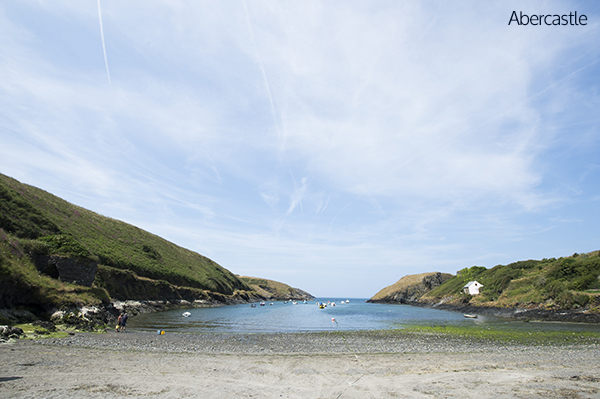 At low tide visit the island at the end of the creek and explore the cave and rockpools, or walk straight onto the Coastal Path. 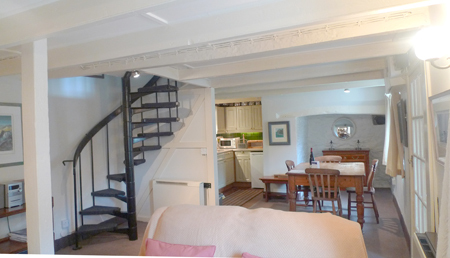 The cottage has an Inglenook fireplace and a spiral staircase. A secluded garden is approached by steep steps to the rear. Beautiful views from here and from the terrace at the front to sunsets across the sea. NO UNDER 3 YEAR OLDS. First Floor: Accessed by spiral staircase - Double room/king size bed/ensuite whb/wc, twin room/2ft 6 inch wide beds, bathroom/overhead shower/whb/wc. Heating: Log stove, night storage. 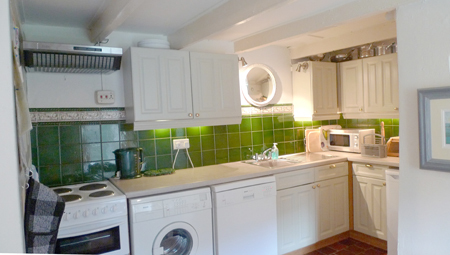 Facilities: Electric cooker, microwave, fridge, washing machine, dishwasher, TV, radio, payphone, garden furniture. 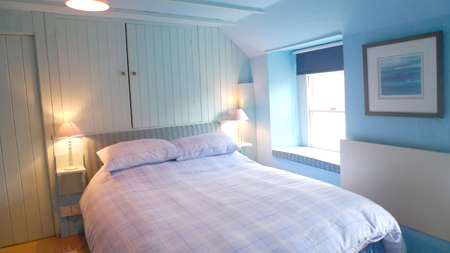 We love Abercastle and the cottage is perfect. I will miss the view with my morning coffee when we head home. We have enjoyed the beautiful art on the walls (and are taking a piece home after visiting the gallery in Porthgain) and the excellently stocked bookshelves. Thank you. We have all had a wonderful week and we loved staying here. I'm sure we will return next year. Thank you. As ever, fantastic scenery & a variety of flora and fauna to observe. The Strumble Shuttle makes it easy to walk a bit further afield without taking the car. Good cafe at Tregwynt Woollen Mill. Lovely week again (5th visit!) 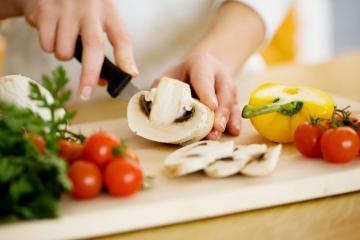 - Kitchen great!! Look forward to 2019. Our second visit this year. It's like coming home! 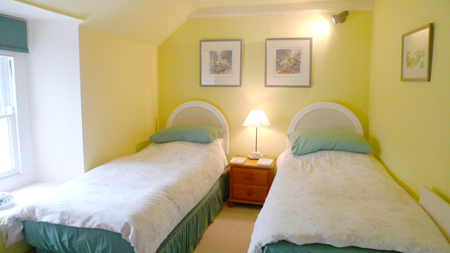 The cottage is excellent; very clean, tidy and well equipped. 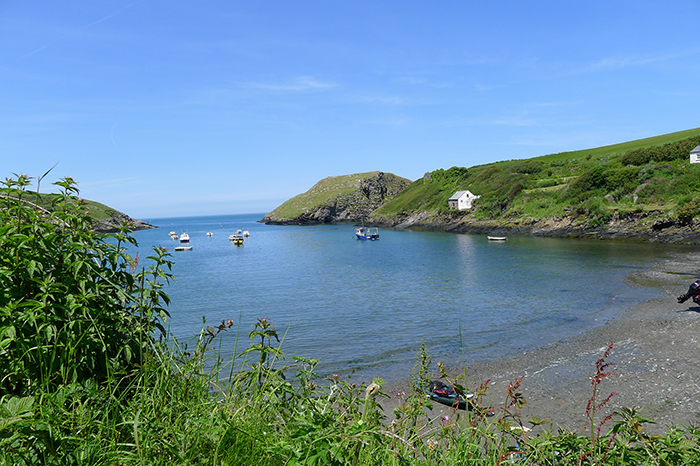 North Pembs is wonderful. Thank you for letting us share your beautiful home. Nick, Paula & Claudia plus Peggy & Wilf the dogs. Another lovely week at Tri Pysgoden, yet again fantastic weather. Cambrian Inn @ Solva very nice and good food. Sloop as always, good for a pint & food. Cafe @ Melin Tregwynt serves lovely food too and good value. Lovely walks from the cottage. Just love it here. 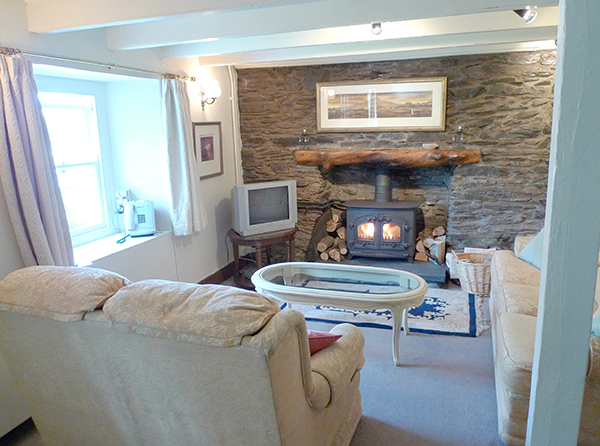 Lovely cottage in beautiful surroundings! Had a very peaceful holiday. This was our 2nd stay in Tri Pysgoden and we hope to be back next year. We appreciated the improvements to the kitchen - especially the new cooker! We've had a lovely peaceful week in a lovely cottage, with beautiful weather, what more could we have asked for. 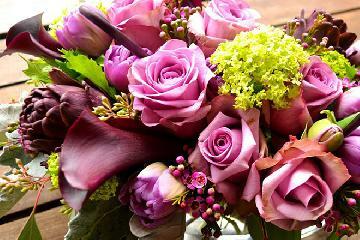 Best wishes, Philip & Trish. We have had a perfect week - sunshine, beaches, sandcastles, boats, walks etc. Edward really enjoyed the 'fast' boat around Ramsey Island. 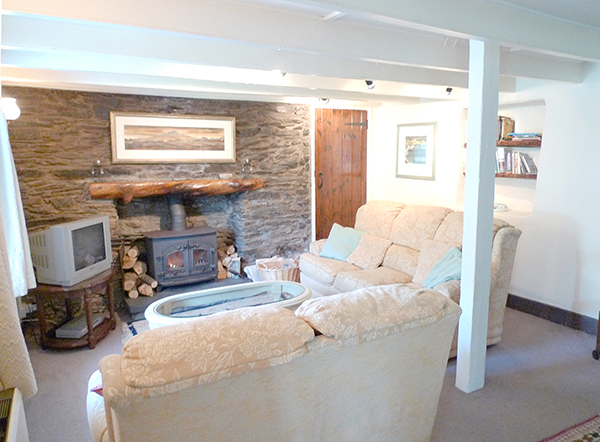 A lovely cottage in a perfect spot (undersells itself)! Thanks! Our third wonderful stay at Tri Pysgoden. Peaceful and relaxing as always, we really don't want to leave. New kitchen and carpeting great! Hope to be back again soon. Beautiful stay in a wonderful cottage (only second time for us!). Fantastic walking and love Carreg Samson. Recommend 'The Shed' for great food. 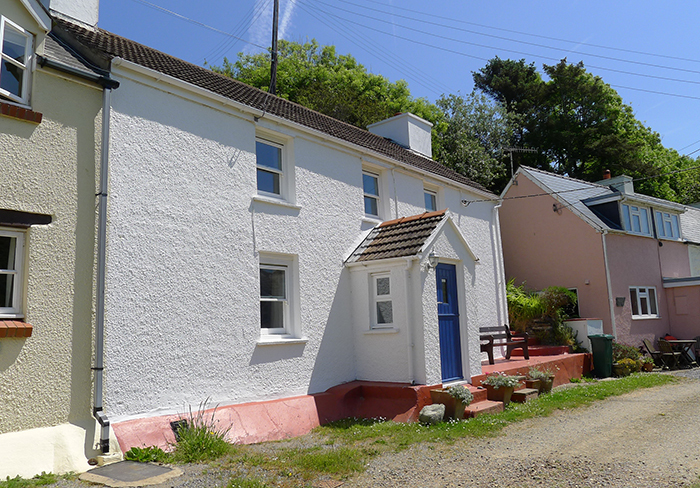 Perfect cottage in a perfect location, lovely spot, great weather and a wonderful base to explore the local area. 'The Shed' is a good recommendation for fish and chips! We are back again for the 5th year !! We love it here and our visit sets us up for the next year ! We have had raging sea this time and walking on the beach at Whitesands was very funny, we were coping with gusts 50 - 80 mph. Dogs were leaning into the winds it was fantastic ! 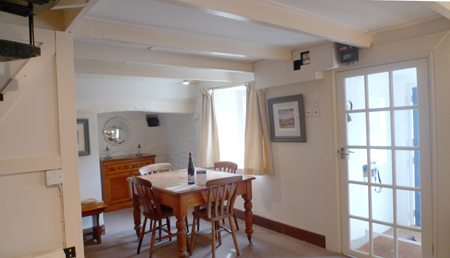 The cottage is as cosy as ever and is so easy to enjoy.The new decorating and kitchen doors are lovely!! I did a few water colours,while my mother did crossword !Discovered St Brides beach and walk - beautiful ! 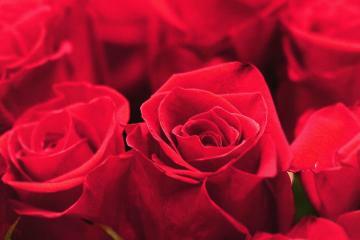 Thank you so much & thanks for vino ! 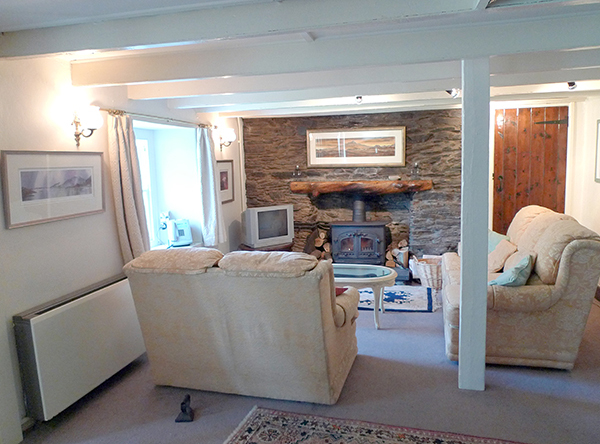 A very cosy cottage.Managed all our favourite walks and saw many Raven, Chough and Peregrine (two. Approached from A487 then approx 2 miles narrow country lanes. 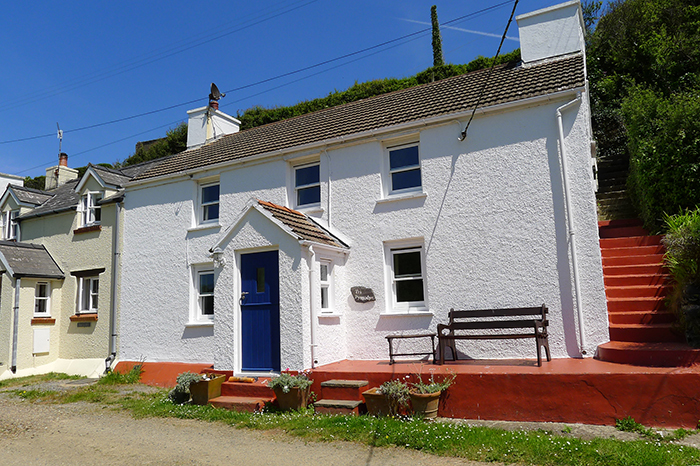 Cottage is accessed by gravel road 30 metres from tarmac road. There is no parking in front of cottage but cars can be parked on tarmac road. Main entrance door reached by two 8 inch steps – into porch then one 4 inch step. Garden is up behind house, accessed by steep steps (approx 8 metres). Garden is flat with patio furniture. Ground floor consists of one large well lit room encompassing kitchen, dining area and sitting room area. Spiral staircase to first floor. Downstairs TV is operated by remote control. External light to front of property. Public transport – bus stop approx 30 metres away. How would you like to contact us about Tri Pysgodyn?